You may or may not know that the Swedish car manufacturer, Koenigsegg makes some of the best supercars in the world. When they released the Agera R at the 2011 Geneva Motor Show, it was soon obvious that this model was no exception. 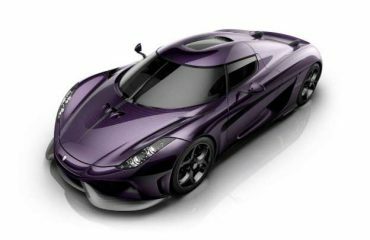 First of all, the Koenigsegg-developed 5.0L V8 Twin Turbo engine provides a mind-blowing 1,115hp at 6.900 rpm and 885 lb-ft of torque at 4100rpm. 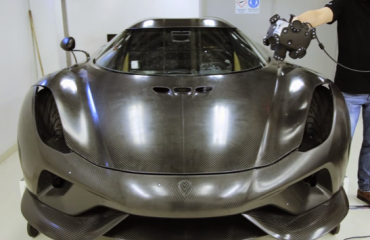 Thanks to this enormous power, the Agera R is able to make 0 to 60 in 2.9 second, so it sounds like the Bugatti Veyron SuperSport has got itself a contender. The Agera R’s amazing features don’t end here. Surprisingly enough, this model is asble to run on multiple fuel types such as regular fuel and bio-fuels. The bio-fuels give the Agera maximum horsepower and torque, while the regular fuels decrease the number of horsepower to 1.015 and the torque to 785. The exterior is designed to reduce air friction; therefore the Agera has an aerodynamic design and wings that adjust automatically. Another great feature of the Agera R is its suspension system, which Koenigsegg named the Triplex rear suspension. According to thesupercars.org, this system connects a shock absorber and coil spring to each rear wheel, which enables the car to be raised or lowered on demand. The Agera R is such a powerful supercar that Koenigsegg had to specifically design the wheels and tires. The wheels are made to act as air-turbines to keep the brakes from overheating. If the exterior wasn’t enough to please you, the interior can compete with the one of almost any sedan. Featuring gadgets like Satnav, MP3/USB compatibility, climate control, plush leather and others, the Agera R can certainly make the ones traveling with this car confortable. The Koenigsegg Agera R is not just a good car, it’s a great car – worth every penny of the $1.9M it costs.